Leeds United have not yet wrapped up the signing of Macedonia international Ezgjan Alioski and have serious opposition for the forward. It had been claimed that Lugano forward Alioski was all set for a move to Elland Road and an announcement of the capture was simply a matter of when and not if. 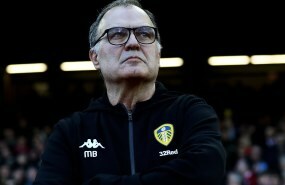 But Alioski's switch to Leeds appears to be far from done and dusted and the man who scored 16 goals in the Swiss Super League last season has other options. Indeed, Alioski is wanted by Swiss champions Basel, while Hertha Berlin are showing interest in taking him to the Bundesliga, according to Swiss outlet Barfi. Alioski was an impressive figure last season at Lugano as he powered the Bianconeri to a third place finish. Lugano are already resigned the the fact that the man they signed on a two-year contract last summer is set to move on. Alioski has also been linked with Serie A side Atalanta, meaning he potentially will be choosing between playing his football in England, Germany, Italy or Switzerland next season.